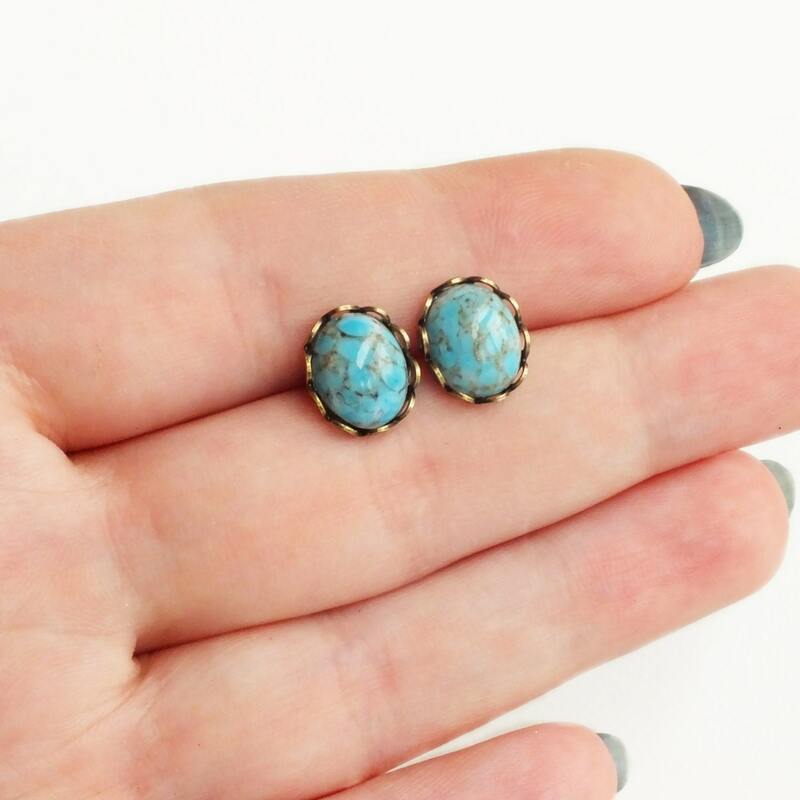 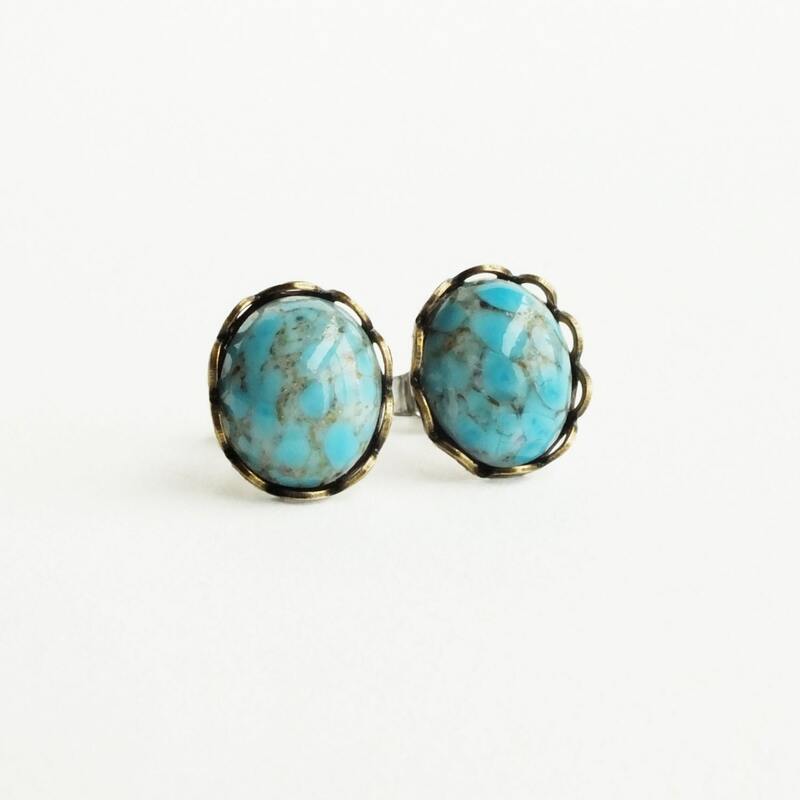 Handmade turquoise stud earrings with vintage glass turquoise cabochons and hypoallergenic posts. 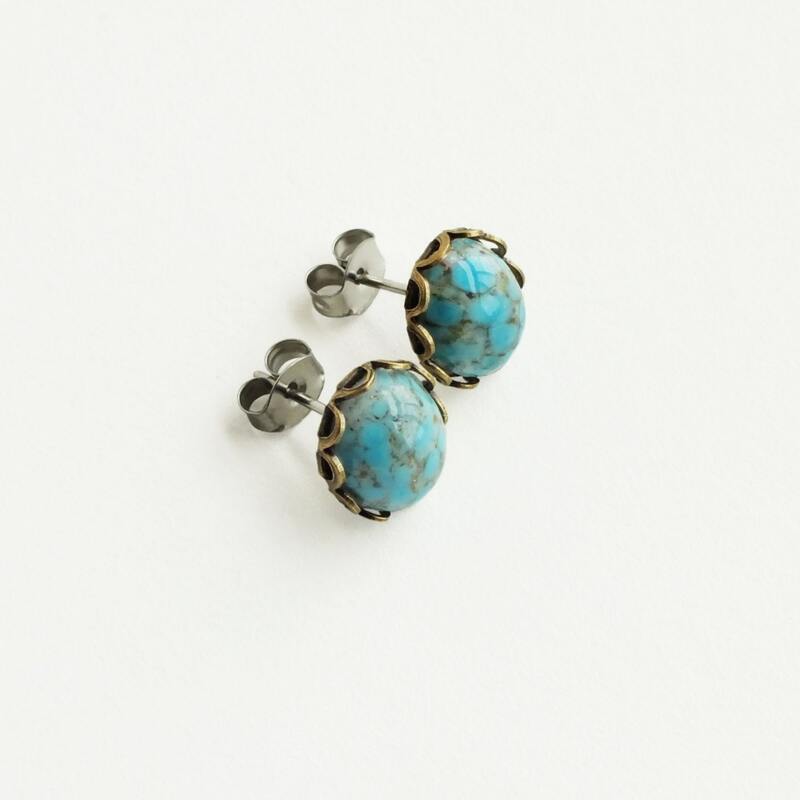 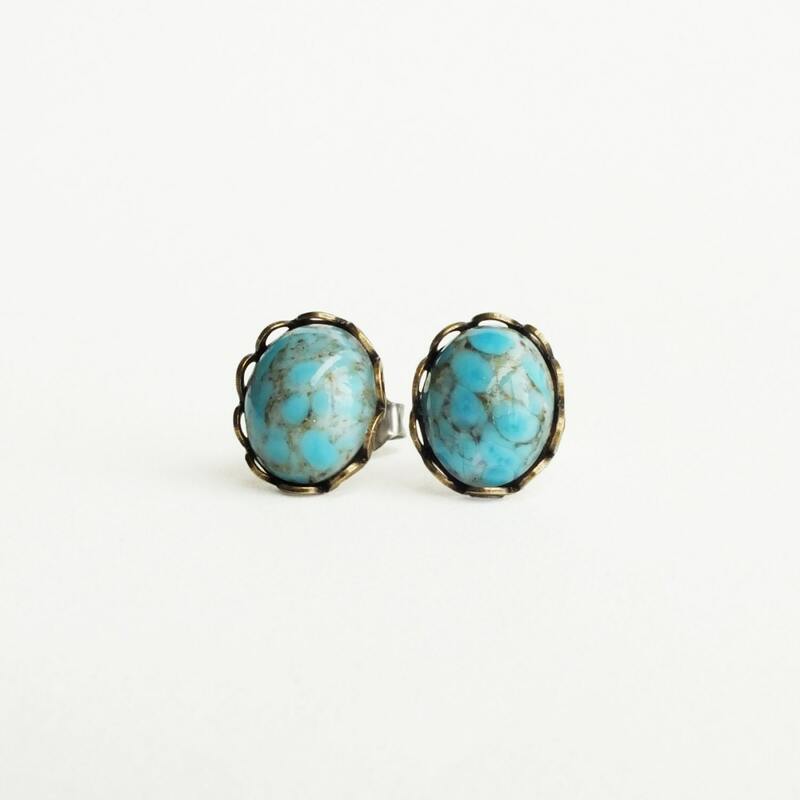 Made with lovely genuine vintage glass turquoise cabochons set in lacy antiqued brass secured to hypoallergenic posts. 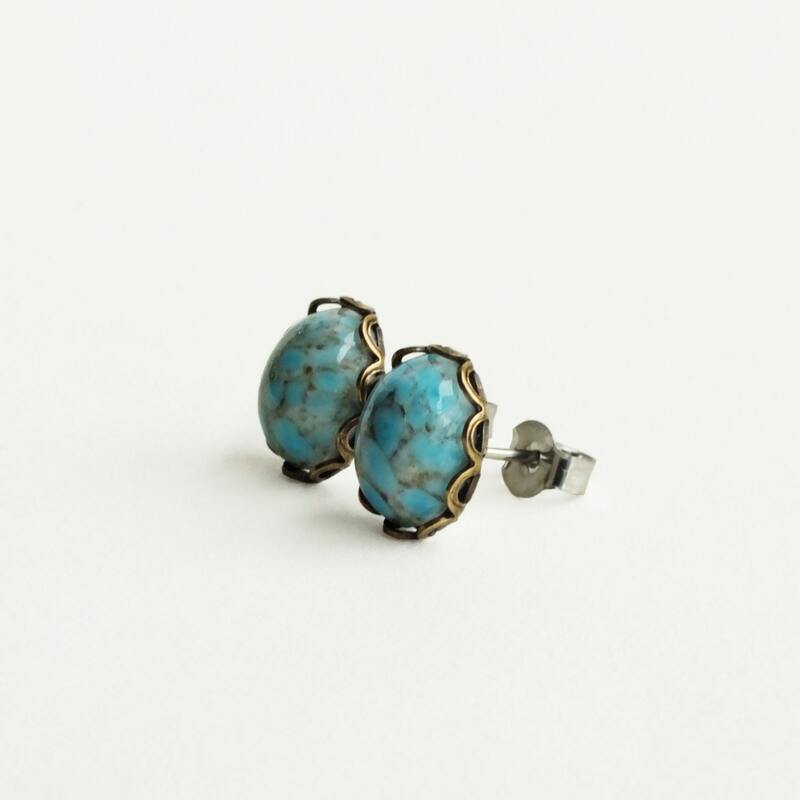 A beautiful turquoise blue with brown 'matrix'.